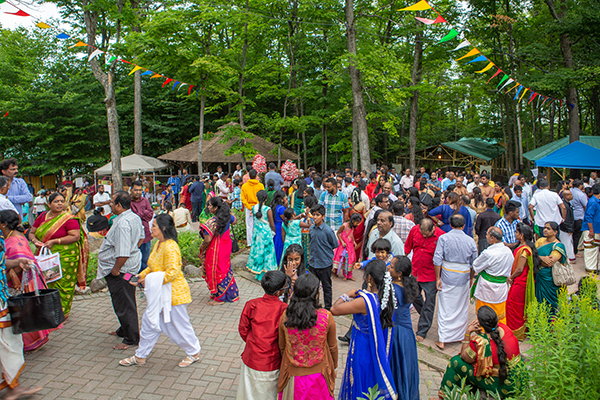 Many festivals are celebrated throughout the year at the Ashram. Come and join us for a night of chanting at Sivaratri (the night of Siva), celebrations of the Krishna Temple anniversary or Master Sivananda’s Mahasamadhi, concerts and dance performances, and Kaavadi, the beautiful festival at the Subramanya Ayyapa temple which attracts thousands of people every year. This dance form traces its origins to the the nomadic bards of ancient northern India, known as Kathaks, or story tellers. These bards, performing in village squares and temple courtyards, mostly specialized in recounting mythological and moral tales from the scriptures, and embellished their recitals with hand gestures and facial expressions. It was quintessential theatre, using instrumental and vocal music along with stylized gestures, to enliven the stories. With the advent of Mughal culture, Kathak became a sophisticated chamber art. Patronized by art loving rulers, the practitioners of Kathak worked at refining its dramatic and rhythmic aspects, delighting elite audiences with their mastery over rhythm and the stylized mime. 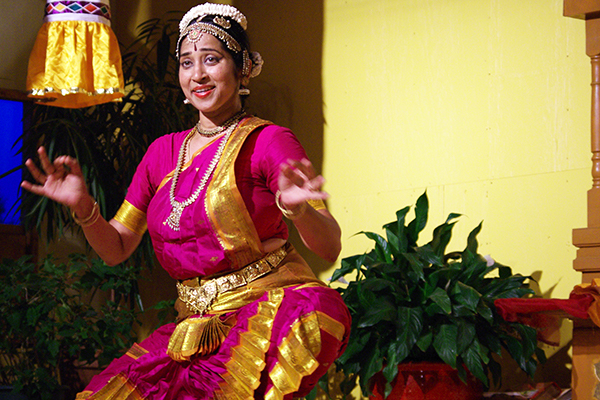 Sudeshna Maulik is a spectacularly talented Indian Classical dancer. Based in Canada and India she maintains an active performing career that spans North America, Europe and Asia. 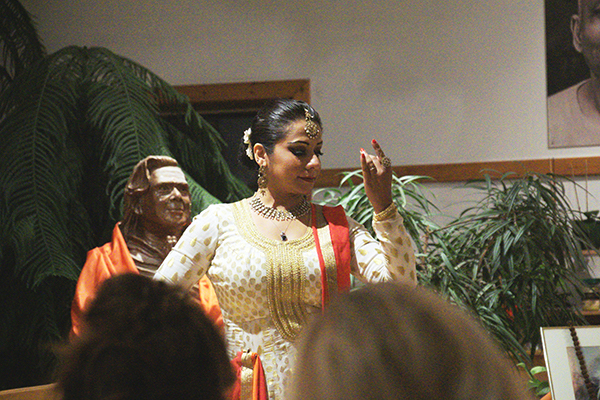 Sudeshna Maulik has been studying Indian dance since the age of seven. She has been a part of numerous productions for more than one decade in India and abroad, is a graded artist in Delhi Doordarshan (National Television) and has performed in Central Production Center in different ballets choreographed by Guru Pundit Birju Maharaj Ji, Kumudini Lakhia, and Aditi Mangal Das amongst many other revered teachers of the art. A renowned performer in India, Maulik has danced in Russia, China, Taiwan, the United States, and all over Europe, and given workshops and lecture-demonstrations all over the world. The performance will be held during the evening satsang at 8 pm. Spend your holiday with your yoga family in the beautiful Lauentian Mountains and enjoy the first signs of the nature awakening. Join us for an inspiring celebration of Easter for the whole family including kirtan and a gospel music concert with Canadian folk singer and Yogi Ken Whiteley. 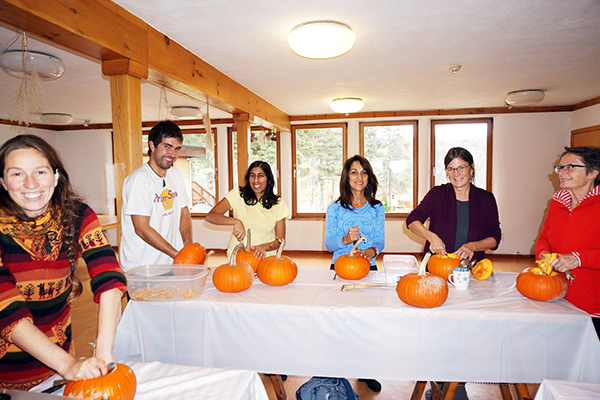 Delicious vegetarian meals, yoga and other spring activities, including hiking and exploring the mountains are just some of the activites you can enjoy in during the Easter weekend at the ashram! Kids 6-12 are 1/2 price. Kids 5 and below are free. 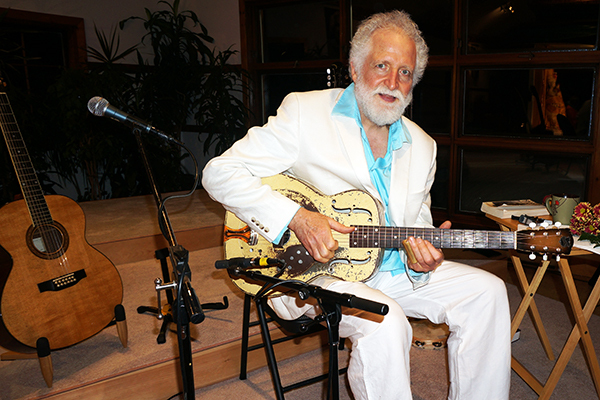 Ken Whiteley is a Canadian roots music legend, whose musical journey has taken him from jug band, folk and swing to blues, gospel and children’s music. Ken’s live performances showcase his outstanding musicianship on guitars and mandolin. Whether leading his own group, solo or collaborating with peers at blues, folk, children’s festivals and concerts of all sizes, his deep knowledge and infectious passion guarantee good times for all. Ken is also a certified Sivananda Yoga Teacher, and often teaches classes at the Sivananda centre in Toronto. The performance will be held during in accordance to Easter activities. Accommodations Free. Welcome to all. 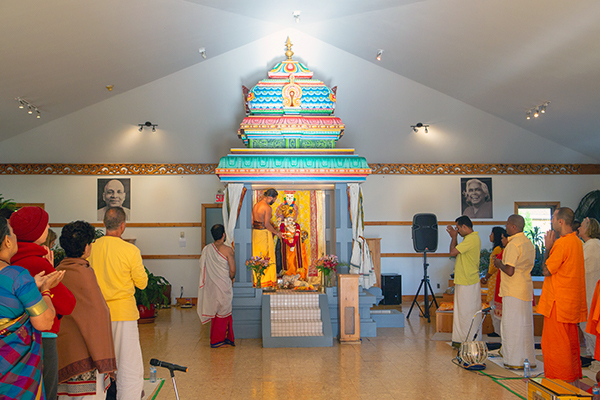 11julAll DayKrishna Temple Anniversary Short Description: Join us on this day as we celebrate the anniversary of the ashram’s first temple with a morning puja. All are welcome. 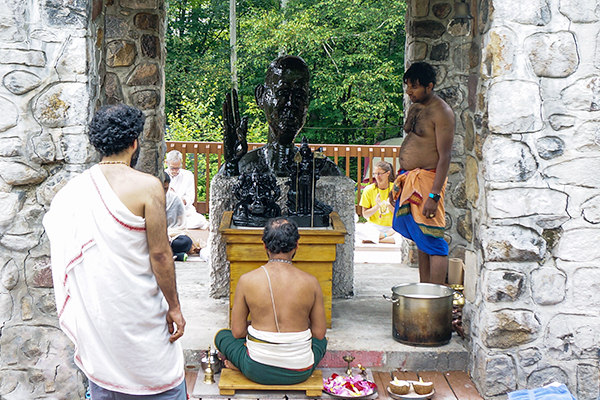 The Krishna Temple was the first temple built at the Yoga Camp. It has gone through several changes over the years but the deity of Lord Krishna, installed by Swami Vishnudevananda himself, remains in place as a powerful symbol of love. On this day we celebrate the anniversary of the Temple with a morning Puja. It is a very special occasion of devotion and opening the heart. All are welcome. 13julAll DayBharatanatyam and Mridangam Concert Short Description: Enjoy a special evening of classical Indian dance and music with Uma Vasudevan and Shri Vasu. We will enjoy a cultural night of classical indian art with a Mridangam concert and Bharatanatyam performance that has been well appreciated amongst the community of the ashram. An accomplished dancer, Uma Vasudevan hails from a family in which music and dance have been the focus of life for many generations. Her dance is a replete with textured grace and a structurally fine understanding of handling body architectonics. Tall and poised Uma has a combined centered strength that gives her style a definitive impact. She is the tenth generation in her family to continue the tradition. She has been a professional dancer for the past 25 years and has performed extensively in India, Afghanistan, Europe, US and Canada. Vasudevan hails from a family of distinguished musicians. A graded artist of All India Radio, Shri Vasu accompanied many musicians and dancers and performed extensively in India, Europe, North America, South America, Caribbean Islands and Canada. As a teacher, Vasu has been active in promoting an understanding of Indian art and culture while keeping an openness towards other cultures in the spirit of cross cultural communication. He has given a number of workshops and demonstrations across Canada, as well as in Sivananda Yoga Ashrams and Centers to inspire more Canadians to develop a passion for percussion. 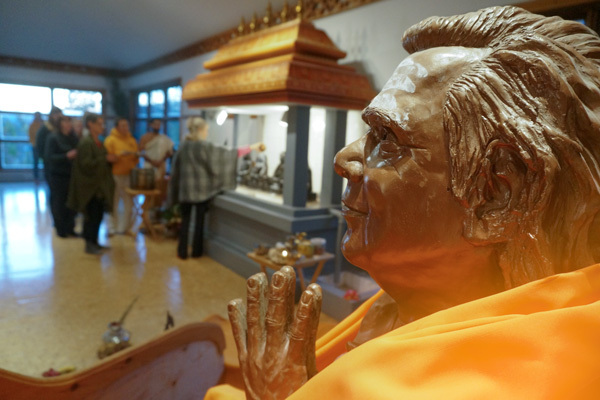 14julAll DayMasters Maha Samadhi Short Description: Join us for a joyous celebration of the life and times of our spiritual inspiration with mantra chanting and a special puja (ceremony). A celebration of the life and times of our spiritual inspiration. Swami Sivananda’s teachings crystallized the basic tenets of all religions, combining all yoga paths into one the Yoga of Synthesis which he summed up with, Serve, Love, Give, Purify, Meditate, Realize. His own life was a shining example of love and service and he had disciples from all nationalities, religions and creeds. Swami Sivananda entered mahasamadhi (left his physical body) on July 14, 1963. 21julAll DayKaavadi Short Description: Celebrate the exciting South Indian festival with us at the Subramanya Ayyappa Temple. The Subramanya Ayyappa Temple is the manifestation of Swami Vishnudevananda’s vision to have a place for people to come together to worship. A traditional South Indian Temple inaugurated in 1994, it attracts thousands of devotees throughout the year from all cultures and nationalities. 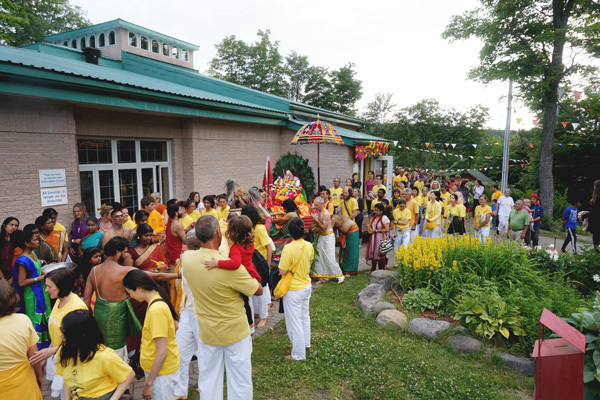 Located in the Laurentian mountains, it is a unique space in North America, where visitors can enjoy the positive and peaceful vibrations of the Temple and its beautiful surroundings. Kaavadi, or the Chariot Festival, is the busiest of all temple events. On this auspicious Sunday, Lord Subramanya is taken out of the temple and carried by the devotees from the main temple down to the airfield, where he is placed on a big chariot. The procession goes around the village of Val-Morin, with hundreds of people pulling the chariot, dancing, drumming and celebrating. 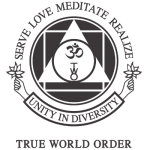 It is a unique event in North America and worth participating in. The program starts with a Saturday night puja at the Subramanya Temple, followed by the Sunday procession and a Monday morning puja at the temple, marking the conclusion of the Festival. This special night will be in celebration of Krishna’s birth. 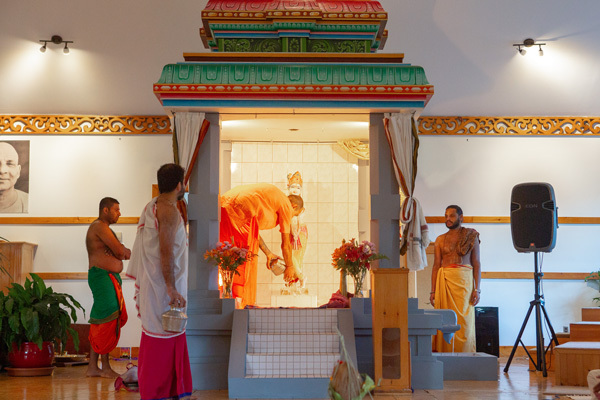 Held in our very own Krishna Temple, we will have a puja consisting of offerings, prayers, chanting, and prasadam in honour of this eighth incarnation of Lord Visnu. 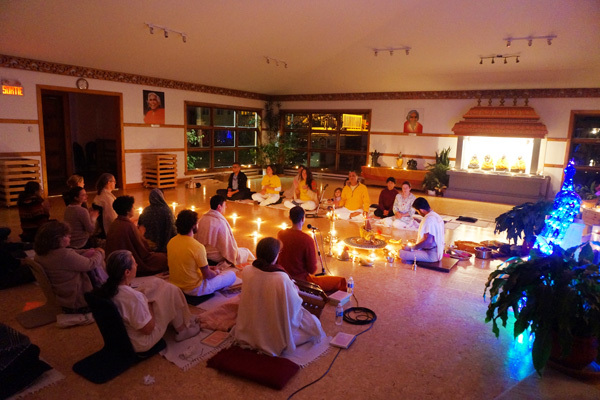 The event begins during the Satsang. For those wishing to spend the night at the Ashram, please register down below for accommodation. The performance will be held during the evening satsang. Come celebrate the birth of Ganesha. We will hold a puja in his honour offering up any challenges ahead of us. 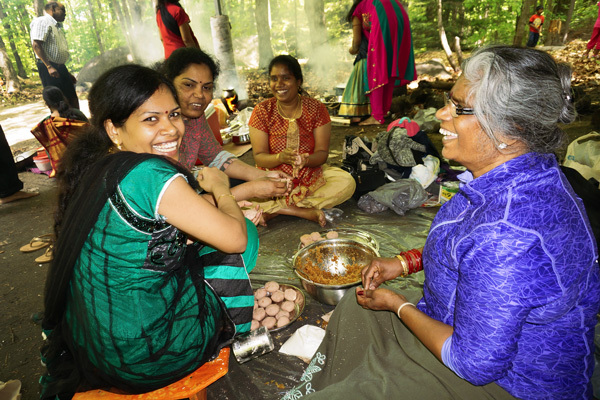 This special celebration will include chanting, prayers, and prasadam. 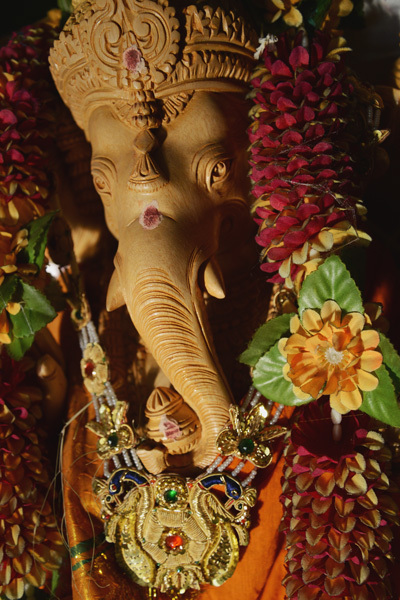 Come celebrate the birth of Ganesha. We will hold a puja in his honour offering up any challenges ahead of us. 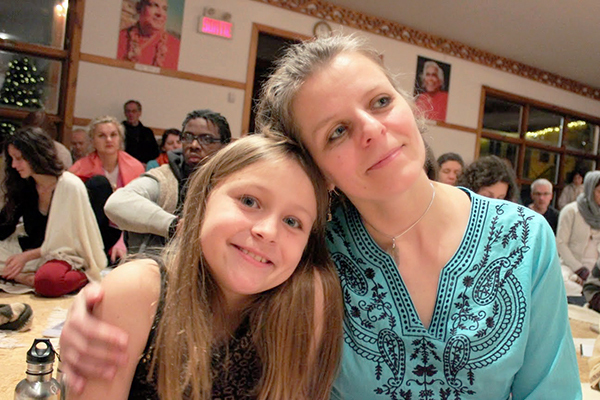 This special celebration will include chanting, prayers, and prasadam. Share this wonderful celebration with us. 08sepAll DaySwami Sivananda's Birthday Short Description: Come and celebrate Swami Sivananda’s birthday with devotional singing, story telling and mantra chanting. Come and celebrate Swami Sivananda’s birthday with devotional singing, story telling and mantra chanting. 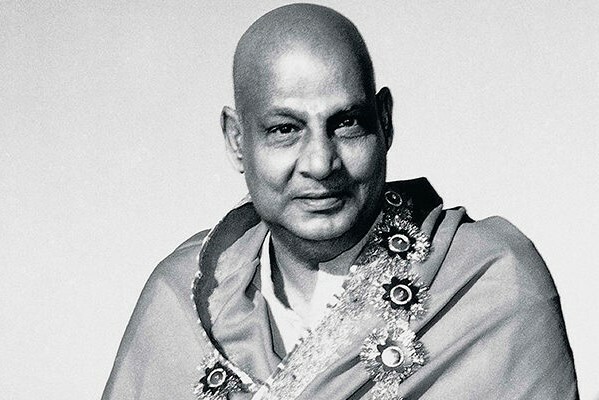 Swami Sivananda’s teaching crystallized the basic tenets of all religions, combining all yoga paths into one – the Yoga of Synthesis – which he summed up with, “Serve, Love, Give, Purify, Meditate, Realize”. His own life was a shining example of the ideal wish to spread his message of love and service. He had disciples around the world, belonging to all nationalities, religions and creeds. Swami Sivananda was born on September 8, 1887 and entered mahasamadhi (left his physical body) on July 14, 1963. Ceremony starts at 2 PM and is held at the Master’s Pond in the ashram. 29sepAll Day07octNavaratri Short Description: Join in the celebrations as for nine nights the Divine Mother is worshipped with special pujas at the Subramanya Ayyappa Temple. Nine nights of worshipping the Divine Mother with special pujas. The first 3 nights are dedicated to Durga, the next 3 nights to Lakshmi and the last 3 to Saraswati. Nine nights of worshipping the Divine Mother with special pujas. The first 3 nights are dedicated to Durga, the next 3 nights to Lakshmi and the last 3 to Saraswati. 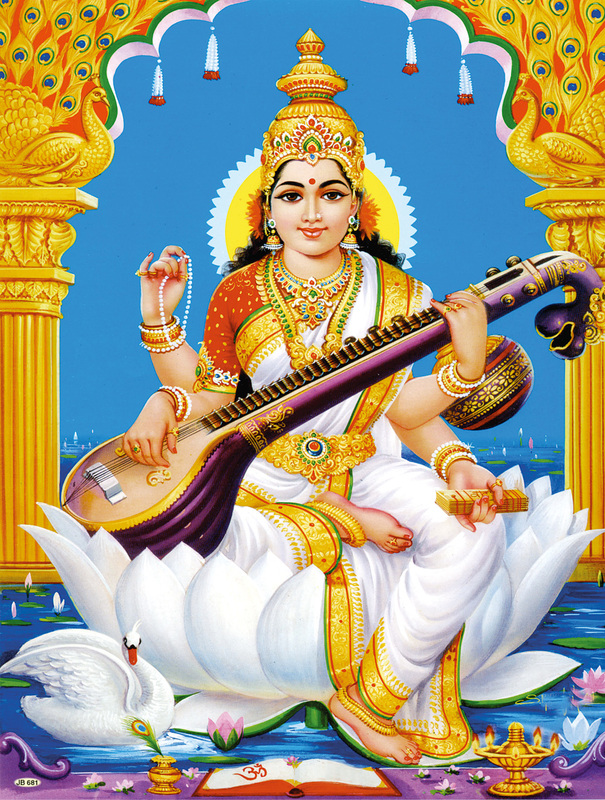 The 10th day is known as Vijaya Dasami, or the day of the victory. Every night we celebrate with a puja, devotional worship, at the Subramanya Ayyappa Temple, and on the last day in the morning. This is one of the most popular Hindu festivals celebrated. This night symbolizes the spiritual victory of light over darkness, good over evil and knowledge over ignorance. This beautiful ceremony will be shared by all with a puja. Come join in the celebration. 01novAll Day03Halloween Family Weekend Short Description: Bonfire, storytelling and a pumpkin party along with walks and activities for adults and children alike. Prepare yourself for the shorter hours of daylight by finding your own inner light! 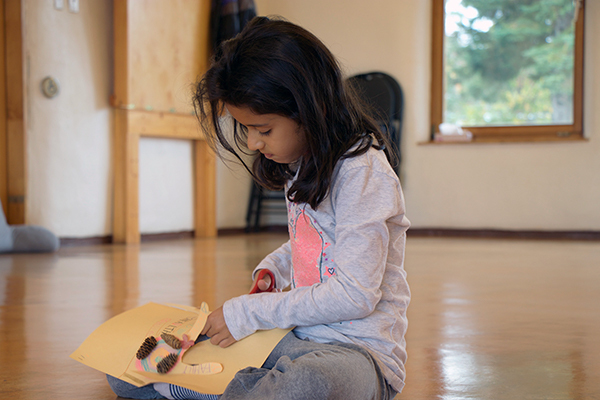 The weekend includes creating your own Halloween lantern, an evening silent forest walk and a glorious bonfire satsang with music and story-telling. Family program and kids activities are also offered. A great way to spend the Halloween Weekend. For those wishing to spend the night at the Ashram, please register down below for accommodation. Accommodations Free. Welcome to all. 26decAll Day01janWinter Family Week Short Description: Enjoy a white Christmas and welcome the New Year with your family experiencing ashram life at its fullest - yoga classes and activities for all plus delicious food! Teen volunteer programme available. Join us for a white Christmas at the Yoga Camp! We will celebrate the holidays with special workshops, satsangs, family activities, kids yoga classes, snowshoeing/skiing, fireworks and delicious food. Join us for a white Christmas at the Yoga Camp! We will celebrate the holidays with special workshops, satsangs, family activities, kids yoga classes, snowshoeing/skiing, fireworks and delicious food. Teen volunteer programme available during this time as well. A perfect way to welcome the New Year! Join us for the special evening of classical Indian dance and music with Uma Vasudevan and Shri Vasu. An accomplished dancer, Uma Vasudevan hails from a family in which music and dance have been the focus of life for many generations. Her dance is a replete with textured grace and a structurally fine understanding of handling body architectonics. Tall and poised Uma has a combined centered strength that gives her style a definitive impact. She is the tenth generation in her family to continue the tradition. She has been a professional dancer for the past 25 years and has performed extensively in India, Afghanistan, Europe, US and Canada. Vasudevan hails from a family of distinguished musicians. A graded artist of All India Radio, Shri Vasu accompanied many musicians and dancers and performed extensively in India, Europe, North America, South America, Caribbean Islands and Canada. As a teacher, Vasu has been active in promoting an understanding of Indian art and culture while keeping an openness towards other cultures in the spirit of cross cultural communication. He has given a number of workshops and demonstrations across Canada, as well as in Sivananda Yoga Ashrams and Centers to inspire more Canadians to develop a passion for percussion.